This was a great game this week for Wentworth Warriors where the opposition pressured our strikers and our defenders. Our solid defence saw the opposition having to take long shots at goal which were relatively easy to stop. The strikers worked on their speed at passing, trying to catch the opposition defence out of position. The final result was a 7-2 win to Wentworth. Players of the Day were Bridie Smith for her excellent striking capabilities and Rory Brabant for his great defensive role as goalie and also for his effective strike role in the first half. We did not play last week as we had a Bye. The Wentworth Stars game this week is at 6:55pm, on Court 3. Please arrive by 6:25pm for warm up. We had some players away which meant a bit of positional changes for the team. Nevertheless the team played like a well-oiled machine. The strikers communicated well and the defenders completely closed out the opposition. We won 11-0. Players of the Day were Charlotte Sancto-Jones for swimming with the ball and creating space for the other strikers and Ben Oliver for his defensive work and accurate throwing. Thanks again to James Nathan for standing in as goal keeper. The Marlins had another good game on Sunday. Everyone stuck to their positions well and knew what they had to do. The strikers were really good at getting straight up to their positions and staying there to take multiple shots at goal. The defenders did an awesome job at pressuring the opposition to make mistakes by staying nice and close to them, making the opposition walk backwards further from the goal. We won 8-0 and Player of the Day went to Elijah for sticking to his player and constantly stealing the ball back. Well done everyone. This week we changed our game plan slightly and had one striker in position. While the theory was good it did result in losing some fluidity among the strikers, but they were still able to execute well. The defenders had an excellent game and were able to chase down the opposition and make it difficult for them to shoot a goal. We ended up winning 6-0 and Player of the day was Amelie Che for outstanding defensive work. The Marlins had to play a Years 5&6 team this week which was tough but everyone picked up their game and played so well to then come away with a win! The strikers stuck to their positions by the posts and never missed a chance to shoot for goal. The defenders worked really hard, stopping the opposition from getting many chances at shooting by keeping them under constant pressure. The defenders wouldn't give up and kept fighting to get the ball off the opposition. We won 5-3 and Player of the Day went to Amy Akehurst for her amazing defensive skills and stealing the ball from the opposition every time she could. The Comets won their game, 14-4! Everyone played well and worked together to move the ball up the court. There were good intercepts by Ben and Tiger. Alex was strong on attack (and scored his first basket)? Eddison was persistant on defence. Player of the Day went to Austin McAlpine for covering the court well and being strong on attack and defence. Training will be held at Wentworth Primary on Sunday at 9.00am. 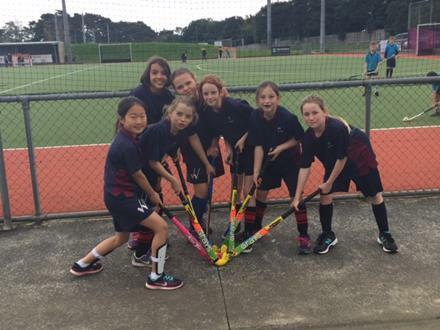 After a long time away from the netball court, the Wentworth Stars were excited to get the chance to play against the Barracudas. It was a tough match yet our Stars played a determined and positive game. There were mini-games happening all over the court with players defending long before the ball was anywhere near them or their opponent.....exciting stuff! Despite our courageous effort the scoreboard did not favour the Stars at the final whistle. Players of the Day were Charlotte Sancto-Jones, Joesy Turner and Kiera Jordan. Keep practising your shooting at lunchtimes and at home. You never know when you may have to step up and play a shooting position. The Wentworth Stars have a BYE this week so have a nice warm Thurday night everyone! Today we played a very structured game. Our defenders stuck to the opposition attacking players and were able to interrupt their game plan and limit shooting opportunities. The strikers played a great game by pressuring the receivers and having some great positional plays which allowed our strikers to shoot some excellent goals. We won 6-2. Player of the Day was Jahn Komorowski for his great positional play and using a pop shot that worked. Also thanks to James Nathan for standing in as goal keeper. Wentworth won their game this week, 10-5. Well done to you all! Josh and Austin got up the court fast and had great shooting skills, Jared displayed some fantastic jump ball skills, Tiger worked hard to catch the rebounds. Edison displayed some great defence tactics, Alex made some wonderful passes, and Corbus worked to ensure he was always marking the other players. Although everyone made a great effort and played a super game, this week’s Player of the Day was Ben Oliver, for his amazing all round effort and skill. Well done, Ben! 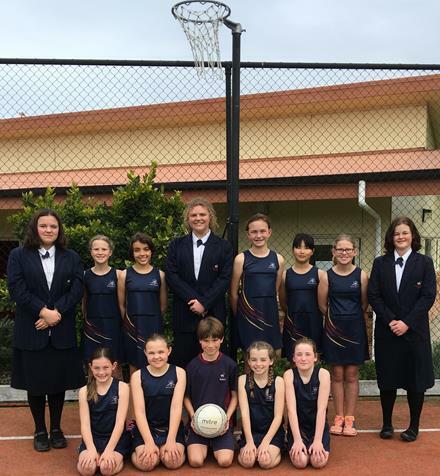 Netball was cancelled last week due to a power outage at the Netball centre. Our game this coming Thursday is at 6.55pm against Barraccudas on Court 4. Please can we meet up at 6.25pm for a quick warm up. Keep practising your shooting at lunchtimes and at home. You never know when you may have to step up and play a shooting position. The first game of Term 3 was an absolute cracker! It was a tight, fiercely fought game where all the players gave it their best. The defenders played a solid game and marked the opposition, thereby limiting their options. The strikers played hard and took advantage of the limited opportunities they were given. We ended up losing 4-2 and Player of the Day was Rosie Roberts for her excellent defensive work and positional play. Training for the both the Years 3&4 and Years 5&6 Flippa Ball teams will take place on Fridays at the Leisure Centre from 4:00 to 5:00pm. The first game of Flippa Ball for Term 3 took place last night. Everyone played really well and stuck to their given positions. The strikers did more moving and sharing of the ball, making sure the opposition didn't get the ball before taking a shot at goal. The defenders worked well together, blocking all of the oppositions shots with the help of our wonderful goalies. We won 6-nil and Player of the Day went to Brooke Oliver. Basketball will resume this week. Training will be held at Wentworth Primary on Sunday at 9.00am. Miniball will resume this week. We played for 3rd & 4th place and were undone losing 12-3, which was our biggest losing margin for the term. The opposition played a good game and were able to get behind our defenders and find open space to shoot goals. Nevertheless our defenders and strikers never gave up and were forced to make some changes when our goalie, James, was injured. Player of the Day was Ben who worked hard in defence and then slotted into goalie to cover for an injury. Training for the both the Years 3&4 and Years 5&6 Flippa Ball teams will take place on Fridays at the Leisure Centre from 4:00 to 5:00pm. The first training will be Friday 28 July. The Years 3&4 team came first in the Term 2 Sunday league competition with a 8-0 win in the final. Everyone played really well and deserved the win. The strikers worked hard at keeping the ball down their end to shoot and the defenders did an excellent job of stopping the opposition. Player of the Day went to Kahn and Xavier for playing so well in their positions. This week’s challenge for the whole team was to play an intelligent game, and I am pleased to say that is exactly what they did. The defenders closed down the opposition and limited shooting opportunities, Jahn was an excellent goalie; he defended well and was able to clear the ball to the strikers. The strikers communicated well and were able to create space to allow them to shoot at goal. Wentworth won 6-2. Players of the Day were Jahn Komorowski for his goal keeping and Rosie Roberts for her relentless defence. Well done. The final training for the season will take place on Friday, 30 June. We had a pretty tough semi-final game. During the first half everyone was a bit off, but the second half improved with a bit of extra motivation. Everyone played really well and we came off with a win 3-1, sending us through to the final playing for First Place. In the first half the strikers passed the ball between themselves a lot and had many attempts at goal but failing to get any in. The defenders managed to stop the opposition scoring in their few attempts, leaving the score nil all. In the second half the strikers did more moving, creating space and had some successful shots, and the defenders did well again at stopping the opposition from scoring. Player of the Day went to Amy Akehurst. 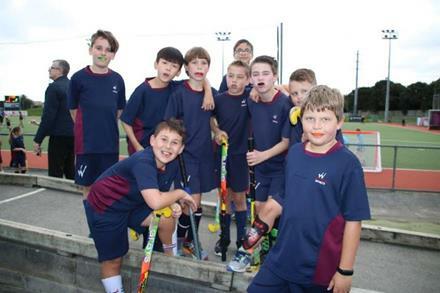 This week was another win for the Years 3&4 Miniball team, winning 5-2 against Stanmore Bay. Well done! The Rockets were great at passing to one another and setting up goals. The Rockets also showed off their dribbling skills as they moved the ball quickly away from their opposition. Xavier Melhop was the Player of the Day this week, for showcasing some amazing defence skills and shooting some good goals. Good for you Xavier! This week was another loss for Wentworth, at 14-8. Jared, Josh, Austin and Ben were our goal scorers this week, although everyone worked well as a team to help set up the goals. We really need to work on our defence and remembering to get into position and jump for the ball during rebounds. The whole team was the Player of the Day this week as everyone had a great game. Basketball training will be held at Wentworth Primary on Sunday at 9.00am. The Stars continued to shine brightly during their cold and late game on Thursday night. It was as though the ball was on a string as it threaded between the opposition players and our defensive pressure ensured we snaffled a lot of their lost ball. Excellent connections between players on attack meant that our shooters were fed clean and quick ball which was quickly capitalised on and turned into points. The final score was 10-6 to our Wentworth Stars! Players of the Day were Tina Lee and Rosa Clark. Congratulations on an excellent game in GS Rosa. Your accurate shooting was integral to the Stars' success! Excellent defensive pressure Tina and your passes had pin-point accuracy - great job! It was really good to see that we had a full team turn out. We knew our game would be tough and we weren’t disappointed. It probably didn’t help that we didn’t follow the game plan; we didn’t communicate well and spent a bit of time throwing away valuable possession. The game ended up being a 6-3 loss to Wentworth. Player of Day was Bridie Smith for her excellent role as mid-fielder. Because the school Disco is this Friday, there will not be any training for the Years 3&4 and 5&6 Flippaball teams. his was a pretty tough game on Sunday night as we were down 4 players. Everyone played really well under the circumstances. We also had two players jump in to give us a hand and we came off with a win 5-1. The strikers did really well at getting up the front and helping around the middle, and staying near the posts to get a good throw into goal. The defenders did well marking opposition players and helping out in the middle where needed. Player of the Day went to Brooke Oliver for a good effort in striker and defence. 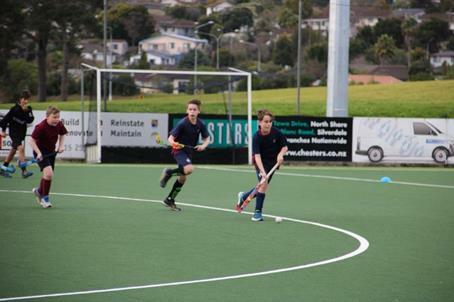 The Rockets had another good win this week, beating Stanmore Bay 5-3. The team have been making a big effort at remembering to pass to each other and this is really helping them to improve their play. Ethan says that this week he will be practising his shots, as a lot were missed during this game and our score would have been a LOT higher if all the team members concentrated on practising their shooting during this coming week! Player of the day this week went to Ethan Jordan for his excellent defence and effort at scoring the jump balls. Well done, Ethan, keep up the good work! Wentworth had another great game this week, which was played at a frantic pace! Although the game resulted in a slight loss, it was a hard fought battle.If we can continue to work on making quick passes, and keeping up our defence, we hope to see some wins soon! Jared, Austin and Alex were the scorers this week, however, as always, it is just as important to be a defender and prevent goals as it is to be a great attacker. Edison was the Player of the Day for his fantastic defence. Well done, Edison! Unfortunately last week's game was cancelled due to electricity failure at the HBC Netball centre. Wow, Wentworth, what a great game! 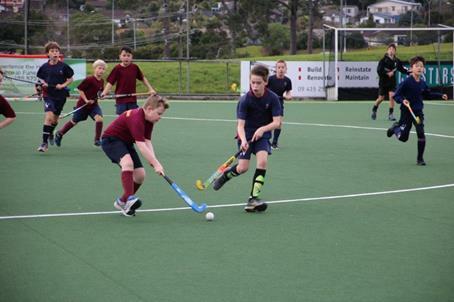 Despite a slow start, Wentworth really pulled together during the second half and scored a massive 5-0 against Whangaparaoa. Both Ben and Jan had successful stints in goal, and Charlotte, Rory and Bridie worked well together to score some fantastic goals. Whangaparaoa had great goalies, and if it weren’t for them, we would have won by a much bigger margin. Liam, Rosa, and Amelie all did a fantastic job on defence. Liam, it was great to see how you stayed focussed and kept back the other team. Player of the Day this week went to Amelie Che for her brilliant defence. 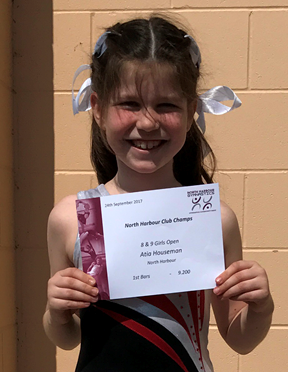 Well done, Amelie! 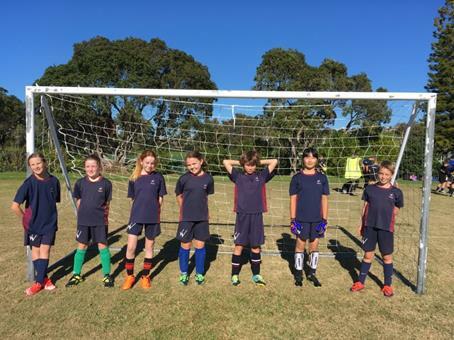 The Years 3/4s had another fantastic game on Sunday. The strikers really kept to their positions and did a great job getting away from the opposition to have a go scoring many shots. The defenders did a great job of not allowing the opposition to have a chance to shoot by stealing the ball away and getting it back up to the strikers. Everyone played extremely well and played the way they have been training and they should be very happy with themselves. We won 11-nil. 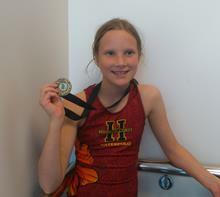 Player of the Day went to Ella Nathan for playing very well in striker position.